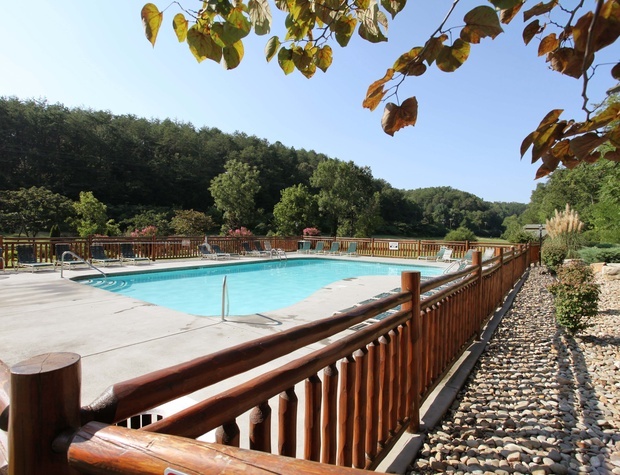 “Arden Hill” is the ideal place for the modern man/woman couple or family to enjoy the great outdoors and maintain their love for current comforts. 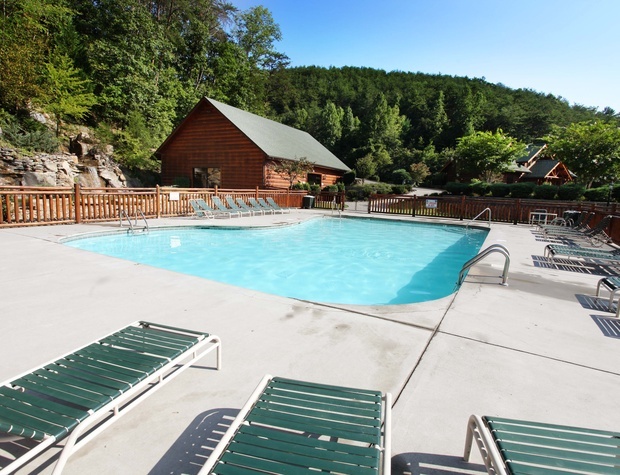 With majestic views of the Great Smoky Mountains guests can experience the great outdoors and stay connected to the world through free Wi-Fi Internet free long-distance calling and two satellite TVs. This Pigeon Forge cabin offers a fully-equipped kitchen game room loft central heat/air two fireplaces washer/dryer hot tub and bedside Jacuzzi BBQ grill and country porch rockers. So while guests take in the breathtaking views of the mountains and breath in the unique country air they can also ‘cop a squat’ in a country porch rocker to keep up with e-mail Facebook Twitter and what’s going on at the office all while relaxing and enjoying a rustic mountain vacation! 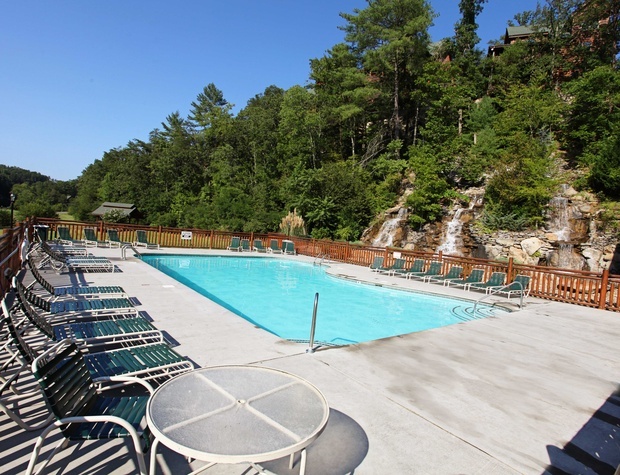 In the comfort and safety of a gated-resort community you can take a dip in the outdoor pool or languish in the heated indoor pool. Spark the spirit of competition with your fellow vacationers at the in-resort miniature golf course. Or stay in and discuss current events over a rousing game of darts or relive college moments through a fast-paced game of Foosball.